Give your deck a finishing touch with TimberTech® Fascia, available in all TimberTech colors to coordinate perfectly with your deck or accent color. Fascia boards come with a 25-year limited fade and stain and 25-year limited warranty for residential applications. Our TOPLoc fascia fastening system eliminates the issues experienced with traditional fastening methods. The TOPLoc Fascia Bit and Fasteners are designed for proper fascia installations every time – check out the full answer to this question to discover more fastener recommendations. Yes. If you are installing a solid profile such as our Earthwood Evolutions, TwinFinish, DockSider, or TwinFascia a router can be used - check out the full answer to this question to learn more about how to route TimberTech products. 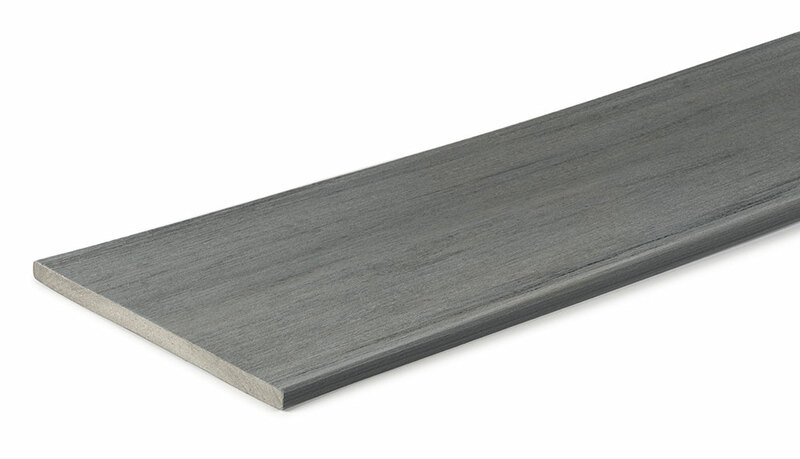 Do not use caulk to fasten TimberTech Floorizon planks or to seal between any of our planks. This will impede the drainage of the plank and inhibit the natural expansion and contraction of the planks - check out the full answer to this question to read more recommendations for fastening fascia.